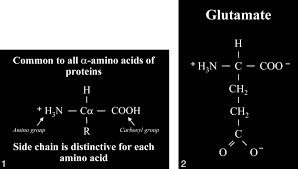 Glutamate is the main neurotransmitter substance in the cochlea and auditory system that make it work. 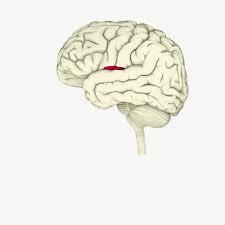 Neurotransmitter substances are the chemicals that live their lives in between neurons in the synapse that allow neurological impulses- inhibitory (IPSPs) and excitatory (EPSPs)- to proceed (and feedback) along the neural chain up to the appropriate center(s) of the brain. Names such as Dopamine and Serotonin are well-known as neurotransmitter substances but Glutamate has its place as well, especially in the auditory system. Without Glutamate the auditory system just wouldn’t work. But high levels of Glutamate can be toxic to the ear. We have all been to a rock concert where our ears ring for several hours (or even days) after and if one were to have their hearing tested just before the concert and then again, immediately after the concert, there would be a temporary (hopefully) change in the pure tones thresholds as measured on an audiogram. This temporary hearing loss, also known as Temporary Threshold Shift, or TTS, is well-known in the field and has been well-studied. I have even written previously about an app that I developed called Temporary Hearing Loss Test (available on Apple and Android) that can measure the TTS by assessing one’s hearing threshold at 6000 Hz just before noise and music exposure, and then again after- the difference being a measure of TTS. When I first learned about TTS in the early 1980s, it was just considered a benign side effect of listening to too much music or being exposed to too much noise, and would resolve in 16-18 hours. It was nothing to worry about. But in the early 2000s, a number of studies (mostly from the work of Sharon Kajawa and Charles Liberman, as well as from the lab of Jos Eggermont) showed that where the cochlea returned to normal after the TTS, there can be permanent changes to the neural structures “down wind”. So, Temporary hearing loss many not be that Temporary! The main reason why the hearing (as measured on an audiogram) returns to the pre-exposure level after 16-18 hours after loud music or noise exposure is that it takes that long for the Glutamate levels to return to their normal concentrations. Too little Glutamate is a bad thing but too much is also bad. High levels of Glutamate can be toxic to the ear and that is why we have TTS- Glutamate ototoxicity. There is another cochlear mechanism that is also implicated in TTS and this is related to a mechanical disturbance of how the outer hair cells connect (or don’t connect) with the tectorial membrane in the ear- it has been shown that initially after a loud exposure of music or noise, the hair cells become disconnected from the tectorial membrane and the afferent/efferent feedback loop (the basis of otoacoustic emissions) is short circuited…. at least temporarily. Very well explained. But please explain this. When doing an audiometric test we talk to the patient to ascertain MCL. So lets say the MCL is 80, then we go up to an UCL level of 95, then when returning to 80 the patient will say that the voice is too soft. Once again we raise the level by 5-7 db to a new MCL. The problem is: 1. Which is the correct MCL, and 2. Does the glutamate level decrease in a hearing loss causing the change in MCL? I am not sure that the Glutamate increases that much between short durations at 80 dB and short durations at 95 or 100 dB- other physiological processes are occurring there. The Glutamate levels probably remain stable in both of these conditions. and depression/confusion. Of course no one thinks to check hearing.